van Ossenbruggen, J.R, Stamou, G, & Pan, J.Z. (2005). 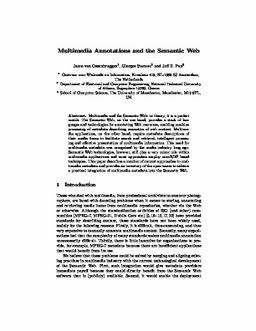 Multimedia Annotations and the Semantic Web. In Semantic Web Case Studies and Best Practices for eBusiness.